I admit: I'm not much for independent films. I mean, that's a pretty broad statement. Independent films vary broadly in topic, genre, quality... but for some reason, they never seem to appeal to me. Give me a hugely hyped Melissa McCarthy comedy or a Morgan Freeman thriller any day. And yet, when the Cleveland International Film Festival started up this year, I couldn't wait to get my mitts on tickets to... something, anything! 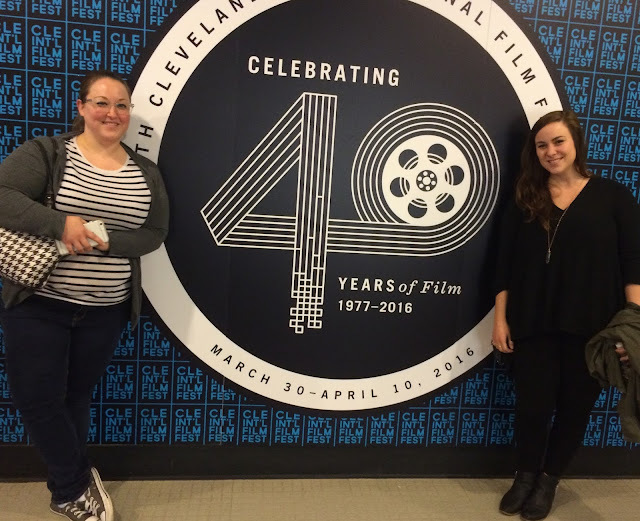 I attended a CIFF event in the fall of 2014, right after I moved back to Ohio, where attendees got to vote on short films. It was the first time I ever really thought about independent films as just, well, films. "Heart-warming and fun while also tragically bittersweet, HUNKY DORY is an uplifting tale of a wannabe artist changing from his self-destructive nature to becoming the man responsible for the only true thing he’s ever created." The film was, in a word, incredible. I don't know how else to describe it. It was so good that I feel like it deserves to be famous, like, "Why isn't everyone paying attention this film?!" I liked it so much that I was disappointed to learn that it didn't win any of CIFF's awards. At the end of the film, the co-directors - one of whom was the star actor, too - came down to the front of the theater for a quick audience Q&A. How often do you get to watch an amazing film & then talk to the dudes who made it a reality? They were passionate & humble, genuinely excited to be there & to share their art with us. But beyond how much I liked the film itself, I also loved the experience of attending CIFF. All of the films are shown at the movie theater at Tower City Center, which I have fond memories of visiting as a kid. Cleveland's landmark skyscraper is home to offices, shopping, hotels, dining, & more - but its former glory has certainly diminished in time, & it's got a reputation for being a bit sad/creepy these days. But CIFF brings it alive again - alive with people, with color, with noise & excitement. The lines are long & the volunteers are just as enthusiastic as the viewers, who get in line early to snag the best seats to their films of choice. I look forward to doing my part next year to increase those stats a little bit by attending more than one film. So much to watch, so little time! Tell me: Did you make it to CIFF this year? Have you ever been to a film festival? What's your favorite indie film & where can I watch it?